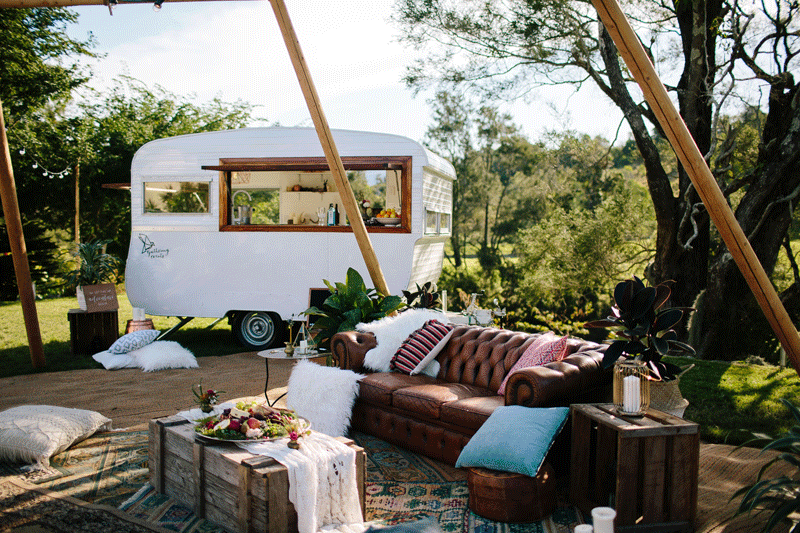 If you are looking for whimsical inspiration for your wedding, you just found it at the base of the beautiful Tambourine Mountain, Riverwood Weddings. 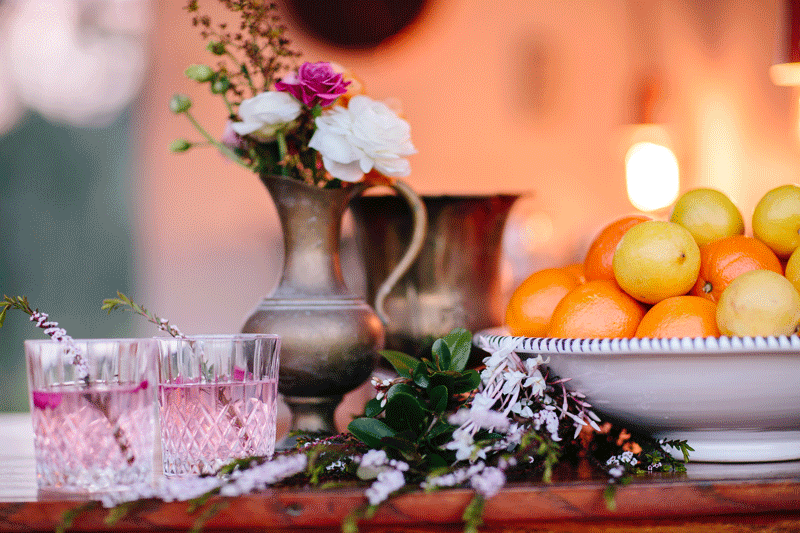 This eclectic bohemian styled celebration was created by some of the industries most creative and talented wedding vendors, and we absolutely loved being able to feature our traveling drinks caravan bar. 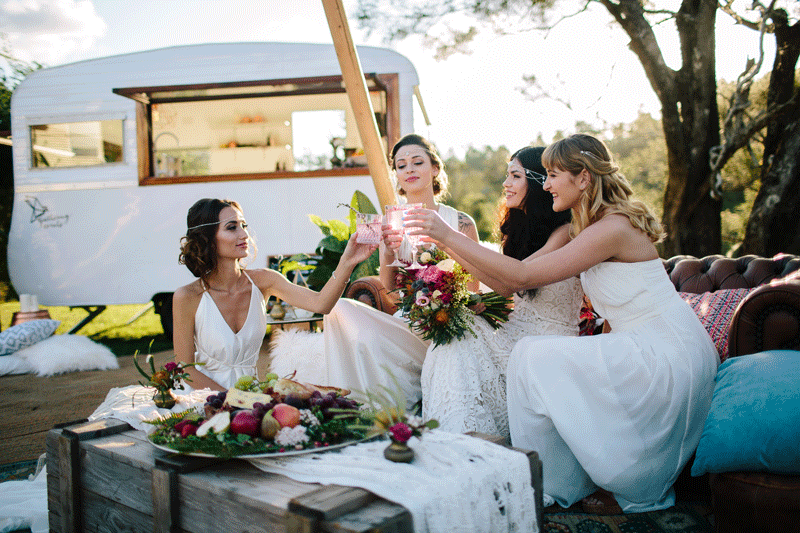 The beautiful free-spirited bride and her bridesmaids enjoyed a banquet of wild flowers, Persian rugs, colorful cushions and sheepskin throws. To toast the occasion, the bridal party enjoyed our rose-berry signature cocktail and relaxed under a naked tipi, draped festoon lighting and spectacularly coloured sunset. 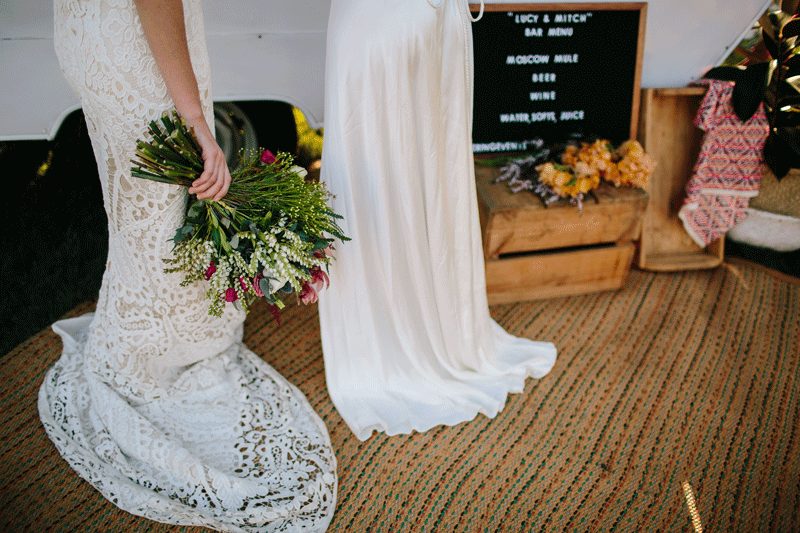 The Gold Coast’s Riverwood Weddings can create the perfection backdrop for your outdoor wedding ceremony and reception, and also has the added benefit of offering a BYO bar and bartender hire option. 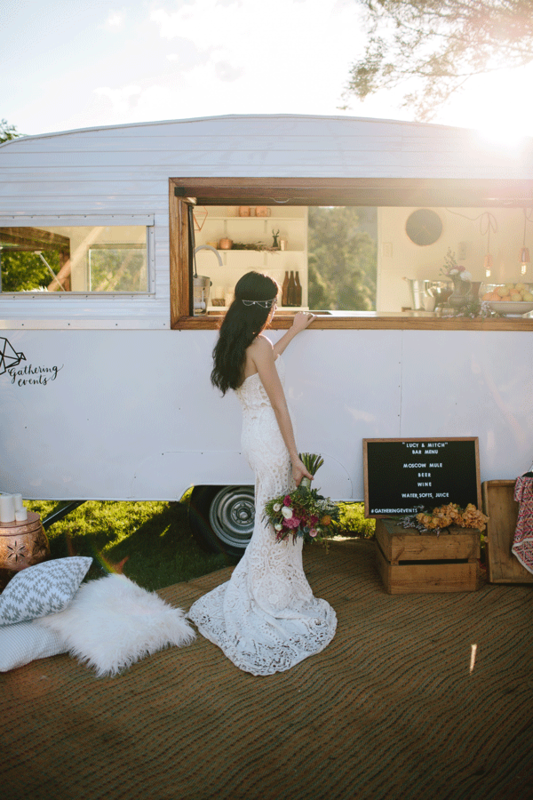 For more information about our traveling mobile BYO bar services and how we can help create your dream wedding style, call or email our team today.